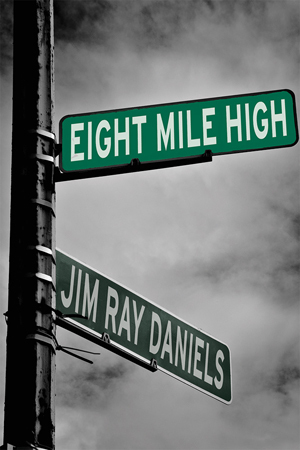 The Library of Michigan's 2015 Notable Books List includes "Eight Mile High," a collection of short stories by Carnegie Mellon University's Jim Ray Daniels. The annual list features 20 books published in the previous calendar year that are about Michigan or the Great Lakes region, or are written by a Michigan author. This is the second consecutive year that Daniels, the Thomas Stockham Baker University Professor of English in the Dietrich College of Humanities and Social Sciences, has been named to the Michigan Notable Books List; his poetry book, "Birth Marks," was honored in 2014. Daniels joins Jim Harrison as the only author to be on the list in back-to-back years in two different genres. Harrison was selected in 2006 for his book "The Summer He Didn't Die" and in 2007 for his poetry book "Saving Daylight." Michigan State Librarian Randy Riley calls the 2015 list a good representation of all genres. "The (book) selections clearly demonstrate the vast amount of talent found in writers focusing on Michigan and the Great Lakes Region," Riley said. "We are delighted to help shine the spotlight on Michigan-themed books and in encouraging all of Michigan's residents to make reading and literacy an important part of their daily activities." In "Eight Mile High," Daniels, who was born and raised in Detroit, uses Eight Mile Road, the infamous stretch of concrete that divides Detroit racially and culturally, as the setting and main character. Through 14 short stories, Daniels connects characters by specific places, such as the fictitious Eight Mile High School and the always-open restaurant, the Clock. The white working-class community defines the individuals — even those who leave town — as they navigate work and love, change and loss, as best as they can. Rosellen Brown, author of "Before and After" and "Half a Heart," called "Eight Mile High" Daniels' best book yet. "[It] is a perceptive and sympathetic portrait of a place we don't often hear about from deep inside. Not Detroit, not the affluent suburbs — instead we see young kids trapped in between, stoned, floating on a river of beer; their parents whose lives on the line did not turn out to be as ideal as they sound now that the old times are gone; and their girls and women, for whom the word 'fulfillment' hardly exists. Jim Daniels' people are candid about their disappointment, with here and there a moment of tender contemplation," Brown said. "Eight Mile High" is Daniels' fifth collection of short stories. His previous book, "Trigger Man: More Tales From the Motor City," won the 2012 Midwest Book Award in the Fiction: Short Story/Anthology category. Last year, he published his 14th poetry book, "Birth Marks," which won the 2014 Independent Publisher Book (IPPY) Awards' Poetry Gold Medal and the 2014 Binghamton University Milt Kessler Poetry Book Award. He has written three films, including 2010's "Mr. Pleasant," which appeared in more than a dozen film festivals across the country. Daniels has won the Brittingham Prize for Poetry, the Blue Lynx Poetry Prize, the Tillie Olsen Prize and two fellowships from both the National Endowment for the Arts and Pennsylvania Council on the Arts. His poetry has appeared in the Pushcart Prize anthology "Best American Poetry," Billy Collins' "Poetry 180" and Ted Kooser's "American Life in Poetry" series. His poem "Factory Love" was reproduced on the roof of a racecar. Michigan State University Press published "Eight Mile High." For more information, visit http://bit.ly/EightMileHigh or watch a video of Daniels reading from the book. In "Eight Mile High," Daniels, who was born and raised in Detroit, uses Eight Mile Road, the infamous stretch of concrete that divides Detroit racially and culturally, as the setting and main character in 14 short stories.